It was in the distance. 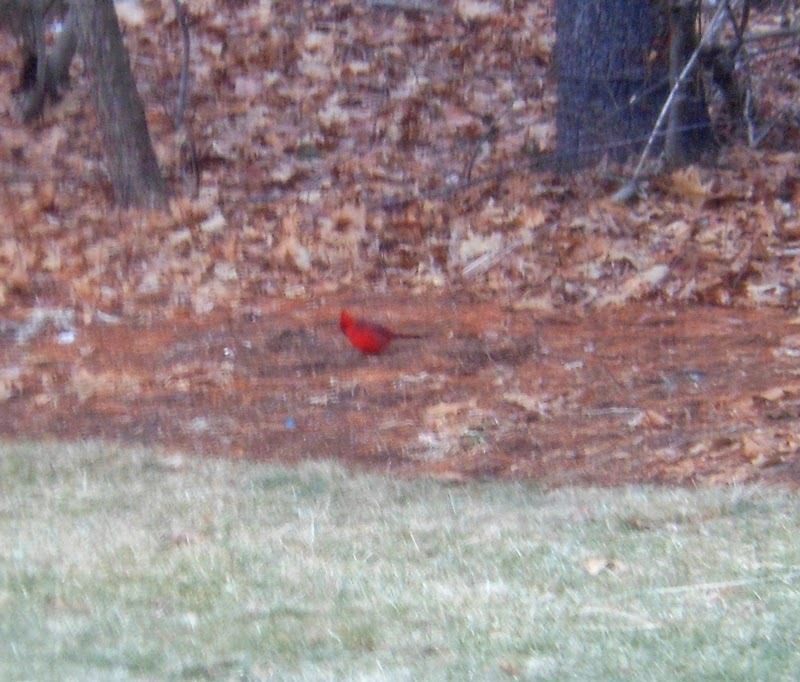 I was looking through my closed screened kitchen windows. The brilliant red color was noticed quickly! What a wonderful sight on a cold bleak winter day in New England! It stayed long enough for me to snap a few pics. Woohoo! During the frigid winter, mentioning the food Chili always brings visions of hot steaming bowls of a thick red comfort food served in a bowl. Two days ago in my pantry I located red kidney beans. I had plum tomatoes. Chicken was in the fridge. It was the great opportunity to take out my Chicken Chili recipe! 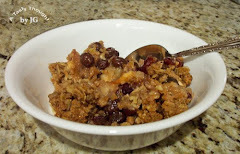 This is a great meal to prepare in a Slow Cooker or in a Crock Pot. I remember finding a variation of it originally in "some" magazine a few years ago when I was writing (typing) a cookbook with easy recipes for my son. It was the summer after he graduated from college. That summer a crash course in food & food safety took place in our kitchen. After coming home from his summer job in the evening, he & I whipped up dinners. As a mom I needed to know that he had some kitchen experience - before he started the next phase of his education that September. After all, he could not eat out all the time. It worked well! Now, I smile when he & his family are visiting "back home" and he asks if he can help in the kitchen. :) The answer is always "Yes"! 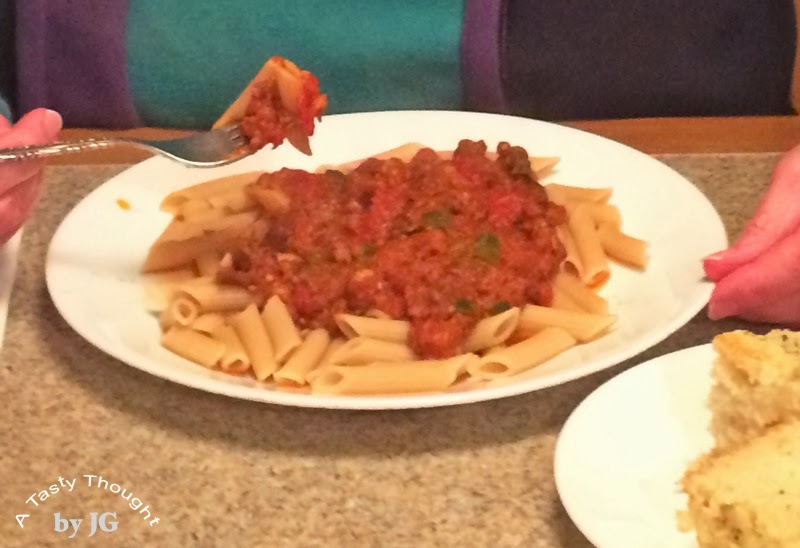 My younger son learned his basic cooking skills using the same method. I had compiled 2 cookbooks 3 years earlier. Whenever he is "back home" he is our "Garlic Mashed Potatoes" guy. :) Nice! Sometimes 8 oz. Tomato Sauce is added to the pot before placing the lid on top. Place Pepper Strips in Slow Cooker Pot. Add Boneless Skinless Chicken Breasts on top. Sprinkle on Onion & Parsley. Sprinkle on Chili Powder, Garlic Powder, Cumin & Oregano. In small bowl blend 3 Tablespoons Flour with about 1 Cup Chicken Broth until smooth. Add remaining Broth to bowl & blend together. Pour liquid over ingredients in Slow Cooker. Cook on High for 3 and 1/2 hours. Reduce to Medium for 1/2 hour. Before serving, stir Chili. The tender Chicken breaks into smaller pieces. Enjoy with a dollop of low fat sour cream & rye bread. After enjoying a delicious dinner containing Okra at the Okra Grill in Mount Pleasant, SC a few years ago, I use Okra in some recipes. It's a great addition to my Slow Cooker Chicken Chili, so a package of sliced Okra is always on hand in my freezer. 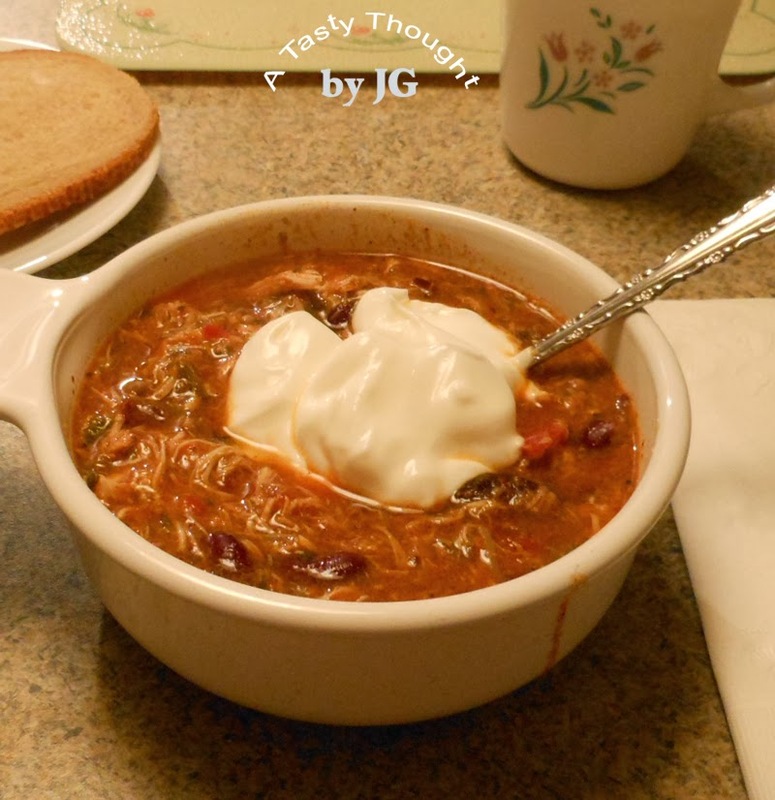 A steaming bowl of Chicken Chili at dinner tastes great during our long lasting "cold snap"! The remaining portions are in our fridge. The seasonings in the Chili are absorbed by the other ingredients. Yes, sometimes Ziploc Freezer Containers of this yummy "comfort food" is placed in the freezer. It has been a quick Saturday! Oh sure, it has 24 hours like every day has. Not too sure where the daytime hours went. O.K., maybe watching the Boston College Basketball game on ESPN today did take a couple of hours this afternoon! :) The snow falling outside reminded me that we are in the winter season. It's been a relaxing Saturday! 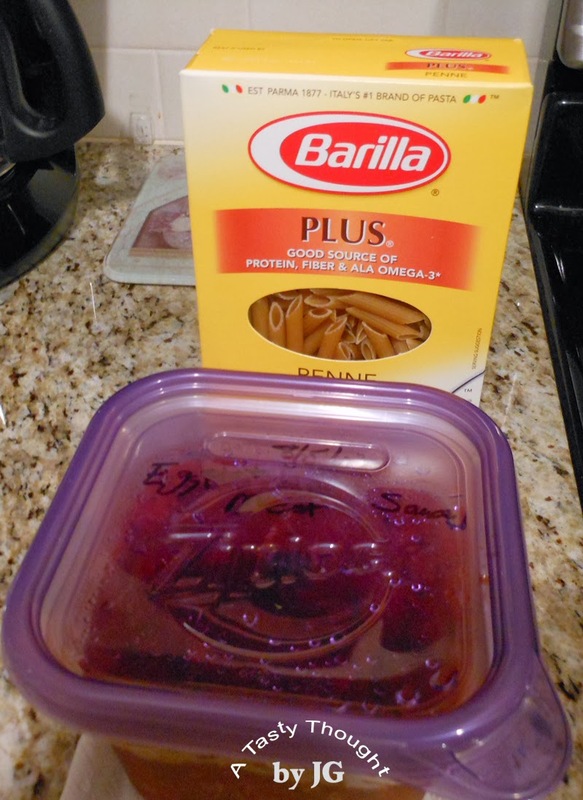 This is when the Ziploc Freezer containers filled with ready made dinners come in so handy. "What's for dinner?" can be answered by a trip to the freezer. Today there was no need to spend a large amount of time in my kitchen. It was a defrost, reheat & eat kind of day! (1) large Eggplant - Cut into slices. Cut each slice in 6 pieces. (1) small Zucchini - Cut in slices. Spray Slow Cooker pot with PAM. Wash Green Pepper, cut into chunks & place in Slow Cooker's pot. Add Eggplant pieces & sliced Zucchini. Cover with Spinach, if desired. In small bowl mix Tomato Paste with Tomato Sauce until smooth. Add Tomato Sauce/Paste to pot. Add Garlic Powder, Oregano & Basil. Cook on High (#5) Setting for 4 hours. This recipe is a keeper to be used again next summer! It's great to prepare when there is an abundance of fresh local veggies available. An added plus is that this sauce freezes very well. After baking a double batch of Craisin Raisin Oaties yesterday afternoon, dinner time suddenly - appeared. 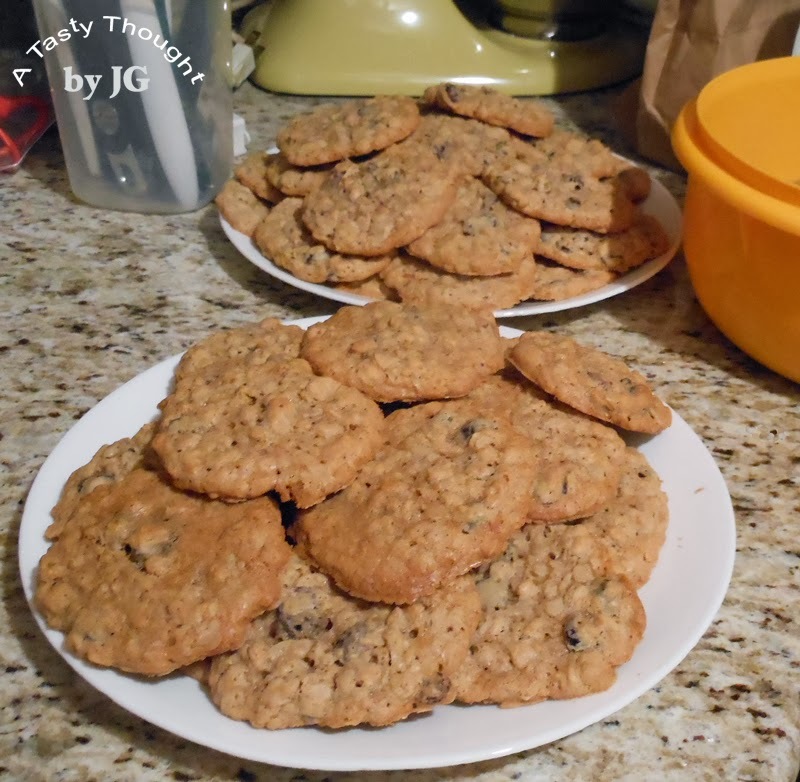 My counters, my kitchen table & my kitchen sink all showed signs that I'd been baking! As the Oaties were cooling before packaging & placing 2/3 of them in the freezer I could think about dinner. Quite often on the bottom shelf of our fridge a package of Buitoni ravioli can be located. Usually it's cheese flavored. This fall, I spotted Buitoni Crab Ravioli in my grocery store & I had a "why not try it" moment. Cheese ravioli tastes great with any flavor of tomato based sauce. However, the crab flavored ravioli needed a different flavor. Suddenly an image of these ravioli covered with a cheese sauce was mouthwatering. My small nonstick saute skillet was located. Flour, 1% Milk & shredded cheese found their way to my counter. 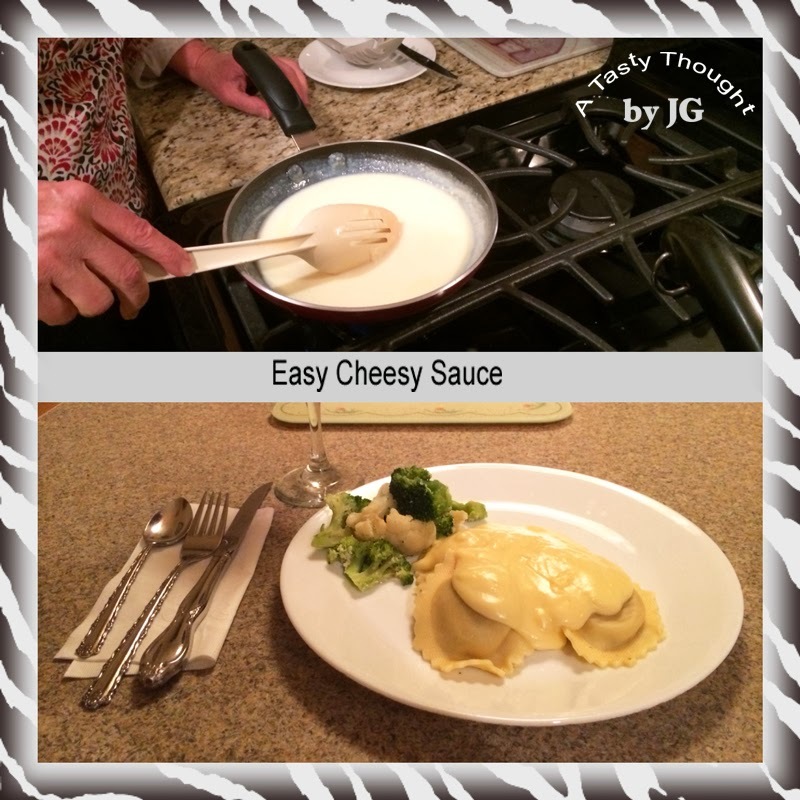 The cheese sauce was quick & easy to prepare while the ravioli was cooking. Melt Butter/ Margarine over Medium heat in a nonstick skillet. Remove from heat & add in 3 Tablespoons Flour & blend together. Slowly, add in 1/4 Cup of the Milk. While stirring slowly add remaining 3/4 Cup Milk. Constantly stir until bubbly & thickens. Stir for 1 additional minute. If too thick, add 1- 2 Tablespoons additional Milk, as needed. The Easy Cheesy Sauce was a wonderful topping for the ravioli. It was also quick to prepare after baking in the afternoon. Today much needed errands were done! Our daytime temperature was in the 30's. It was time to venture outside for a longer period of time other than a quick trip to the grocery store. The single digit thermometer readings + wind chills are gone. Woohoo! No doubt about it. The light powdered snow fell last night. Our temps were/ will continue to be low. 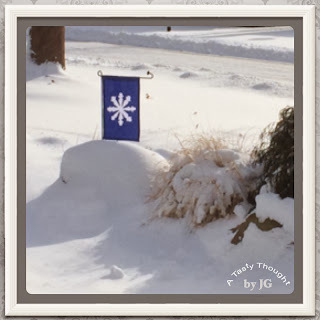 Last night & today snowplows were clearing the streets and also some driveways. The sound of snow blowers could be heard in my neighborhood. This AM before my DH headed outside to give our trusted snow blower a workout, a yummy breakfast was definitely needed. After our great fam FuN filled holidays, our freezer is... well... empty of any pancakes. However, Eggs, English Muffins & American Cheese are staples in my kitchen. It took little time to whip up Raisin Easy Cheesies! The quick breakfast that is filling & warm! Sliced American Cheese - Kraft is my choice. Split Raisin English Muffins, ready to toast. Fry 1 Egg in nonstick frying pan, turning over once. While Frying Egg, toast English Muffin. Place 1 slice American Cheese on 1 half of toasted English Muffin. Top with Fried Egg & other toasted English Muffin half. What a great breakfast sandwich! The cheese slightly melts and tastes so yummy combined with the Raisins in the English Muffin. The Egg + the Cheese = so good! Yes, 2 Egg Whites only can be used rather than 1 whole Egg in each of the Raisin Easy Cheesies!